Even though Courtney Love and I aren’t acquainted, this “cult of celebrity” personage fascinates me. 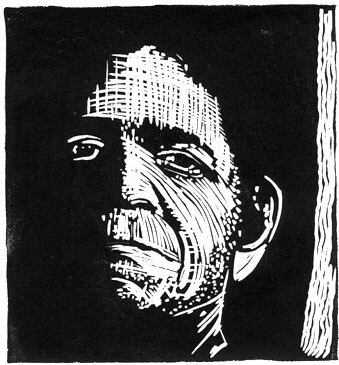 Linoleum block print is approximately 6 x 7 inches, edition size 69. Here’s more info about this print. oh this definitely shows her for who she is. an ugly whore. its a beautiful print though! you did a good job! Thanks Ashley. Appreciate your comments.